Here come the heavy hitters! After a great release of Marines, we are finally getting to a couple of the bigger name characters from the franchise. Aliens Series 3 from NECA‘s amazing action figure line will feature two non-xeno figures, and will be hitting stores soon. We were lucky enough to have an early look at Kane with Facehugger from Alien. Bishop will be the second in the series, look for my review next week. Gilbert Ward Kane was the Executive Officer aboard the commercial towing vehicle USCSS Nostromo. He was serving on the ship during its fateful voyage in 2122 when it encountered a Xenomorph on LV-426, an incident that eventually led to the destruction of the ship and the loss of all but one of its crew. Kane was the crewmember who was attacked and impregnated by a Facehugger, and as such it was he who brought the Alien aboard the ship. He died when the Chestburster erupted from his chest. Do you remember the first time you watched Alien? The first time that you saw that chestburster come out of John Hurt’s chest?! I think it is one of the most unforgettable moments in cinematic history, NOT TO MENTION SHOCKING! 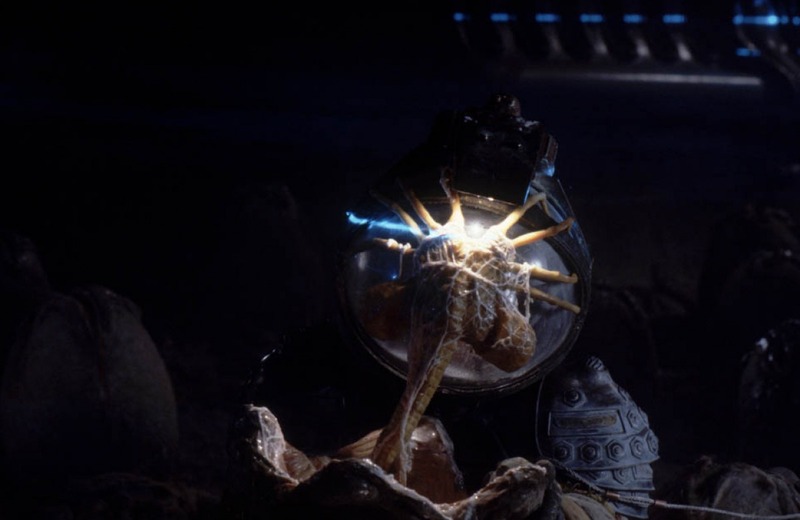 The mythos that would come out of the facehugger and chestburster scenes is amazing when you really think about it. This is where it all began! So how cool is NECA’s Kane action figure? The answer is VERY. I think back to the early Kenner days and the figures that came out of that. Then I think about the attempt at Marine figures when McFarlane had the license. I am so happy that some of my favorite characters of all time are in good hands and that we are finally getting some really high-quality representations of them in plastic form. Here’s the catcher. 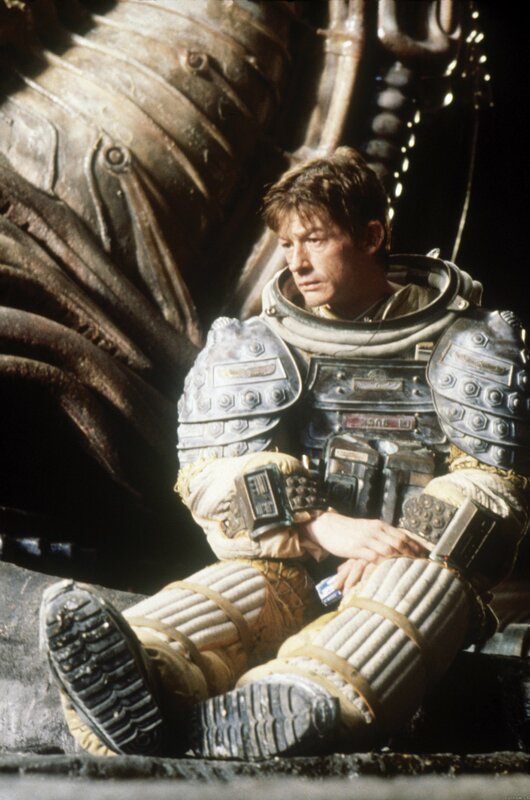 NECA wasn’t able to get the rights to John Hurt’s likeness, so they took it to a different level. Well, if we can’t have his face we might as well just put a facehugger on it! I think that this was an amazing decision as it portrays such an iconic moment from the film. Also it gave NECA a chance to create the sculpt for the space suit that they’ll use for future figures such as the upcoming Dallas and Ripley ones. I guess we will have to wait and see if they can get the rights to Hurt so we can get a Kane with chestburster figure! That would be amazingly disgusting! The suit is perfect! Every small detail is there and the use of different textures is impressive. The suit consists of several soft plastic pieces such as Kane’s chestplate and shoulder guards. Kane’s helmet is perfectly crafted to replicate how the facehugger made its way onto him. The helmet actually comes off, which is a great touch, along with the ability to attach it to his backpack with a rubber hose. All of the small details are what really makes this figure special and is also a credit to NECA and their craftsmanship. I love the color scheme on Kane’s spacesuit. 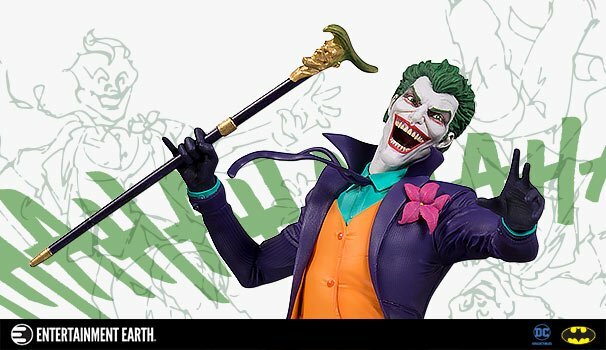 The paint application on this figure is perfect and with as many details that are sculpted into this figure, that’s really saying something. Kane has a real rustic feel and the colors are replicated beautifully from screen to figure. The suit itself looks worn and used, something of a relic almost. This was one of the things about the Alien films that I liked, the future wasn’t bright and shiny. Each detail on his suit is perfect right down to the emblem on his back pocket. Sometimes it blows my mind when I see some action figures priced around $25 and you don’t get anything near this quality of product! Thank you NECA. Though in reality, he should be posed mostly laying down, it is pretty creepy to have him stand there with that facehugger on his head. I think it’s actually scarier than a zombie. Kind of like an Invasion of the Body Snatchers type of thing. When it comes to accessories with these types of figures, I don’t really go into it expecting much. If it’s a Marine figure, give me some cool, movie-accurate guns. NECA does an awesome job when it comes to replicating the weapons, gadgets, and other items that the characters use in their respective movies or TV shows. Kane comes packed with a (laser?) gun, and a flashlight. Of course his helmet counts as one, but we have already talked about how cool it is. NECA has easily become one of my favorite companies when it comes to collectibles. They deliver an amazing product at an affordable price. It also doesn’t hurt that they make figures based on two of my favorite sci-fi franchise of all time either. With their impressive Predator line already at series 12, the Aliens series looks to make some major impressions down the line. Aliens series 3 is off to a great start with Kane and Bishop; which is probably one of the best likenesses of Lance Henriksen around. From what I’ve seen the other non-xeno characters that are just around the corner look just as amazing! Though fans want more xenos, I would love to see NECA work on getting the rights to more marines and some of the other characters from the series. You can check out my review of Bishop here.